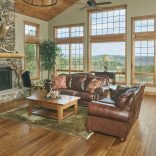 At the newly built Trophy Rack Lodge tucked away in the woods on hundreds of acres, you will come across a rustic style home. 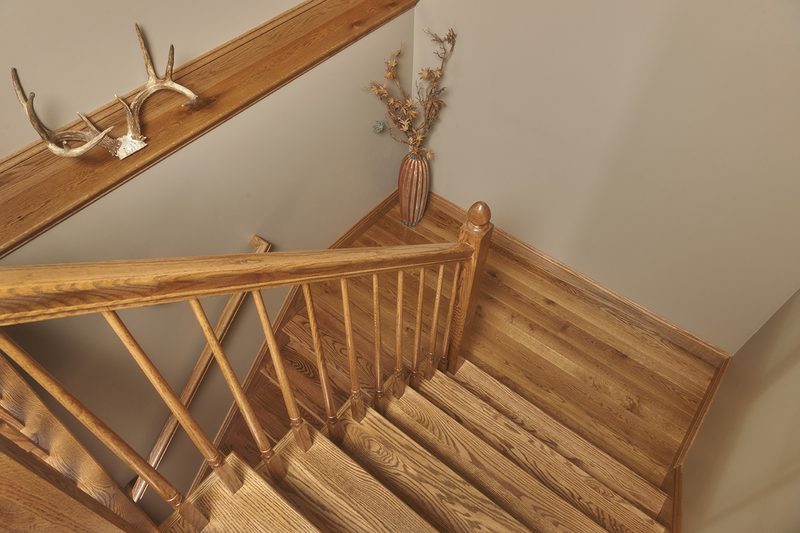 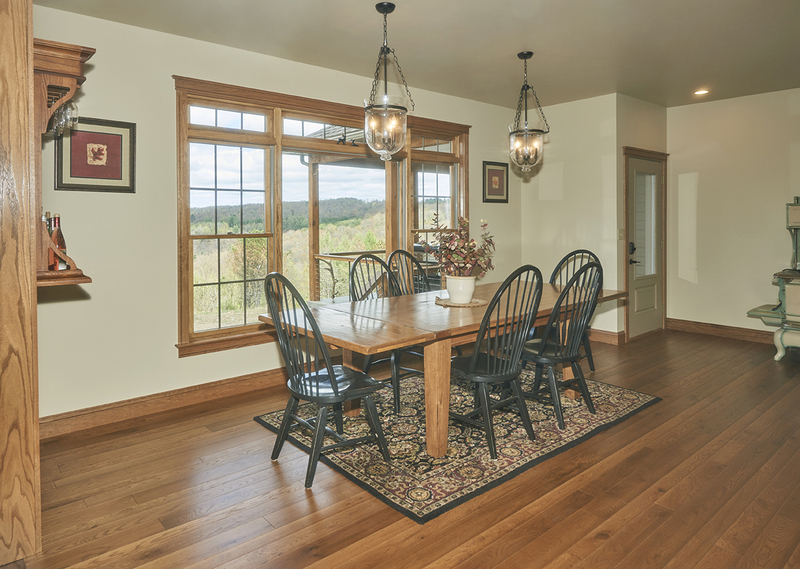 The couple was looking for a floor that complemented their style but was very durable during elk season when they lodge hunters. 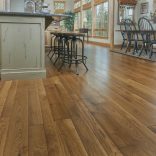 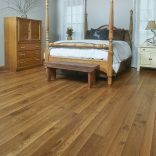 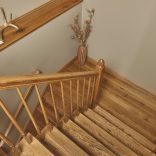 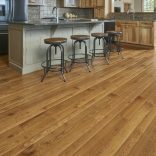 They decided on a 3-4-5” Natural Character White Oak hardwood flooring with a New England Walnut Stain. 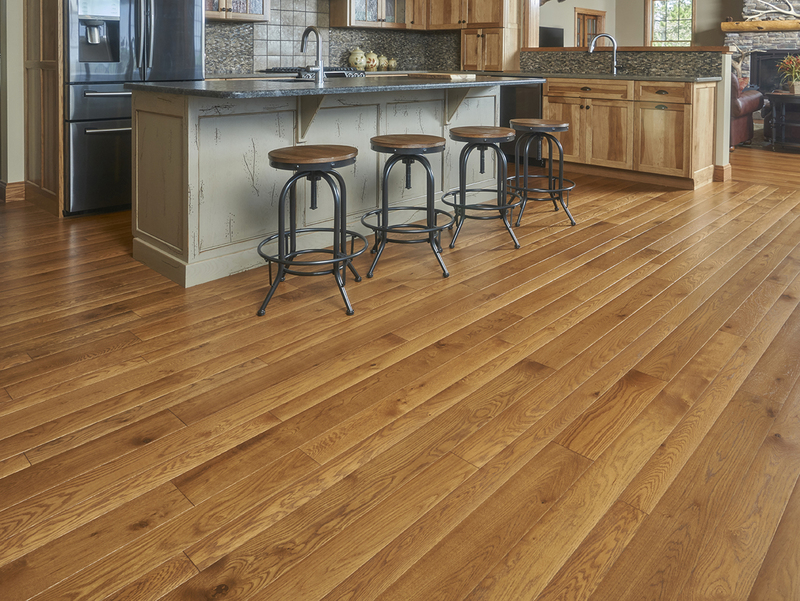 Thanks for your beautiful flooring, we love it in our new home! 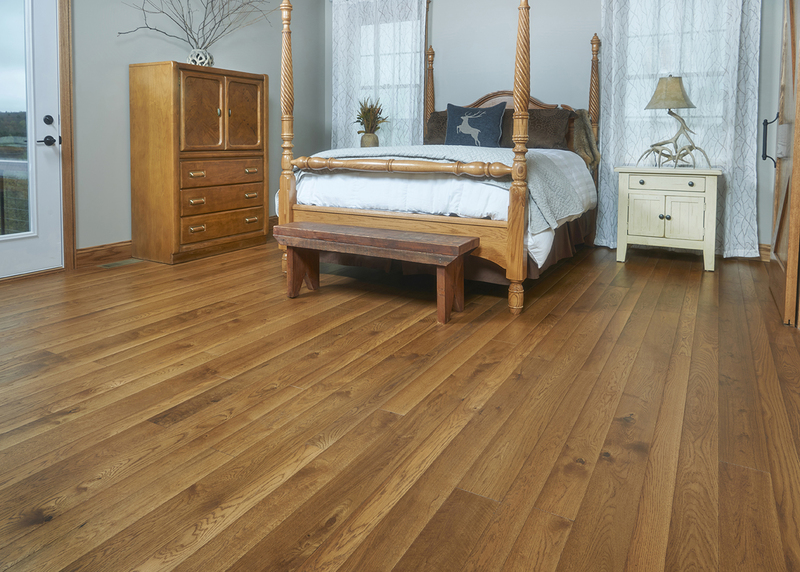 The flooring flows smoothly from one room into another creating a welcoming feeling with rich, comforting tones. 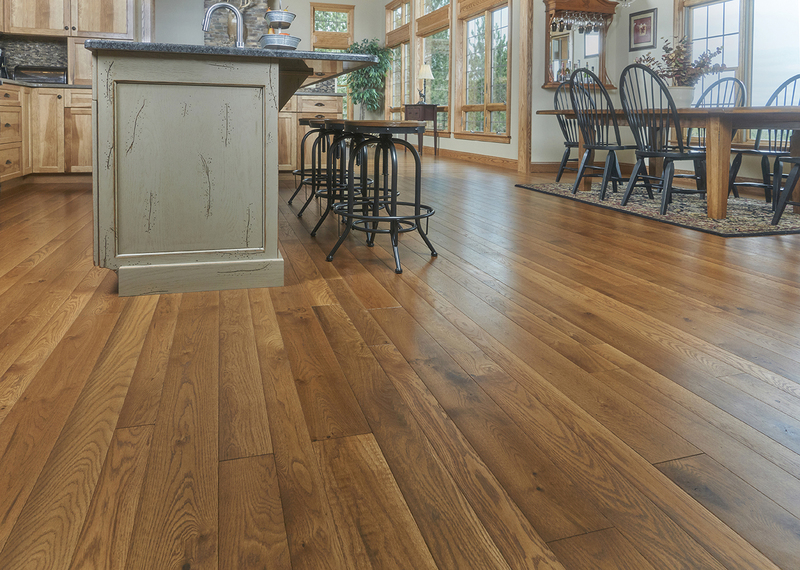 The random widths add depth to each room giving a spacious feeling that’s inviting to their guests. 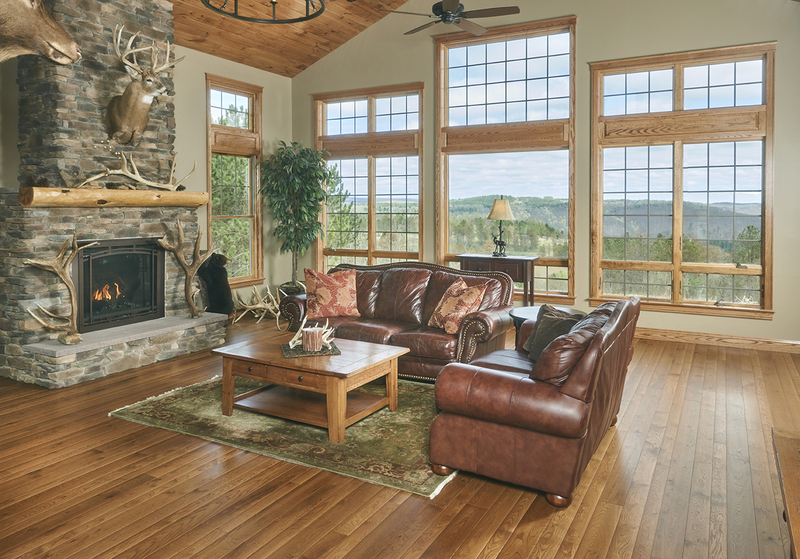 The warm brown tones blend together casting a relaxing atmosphere to enjoy the breathtaking view of the mountains and wildlife outside.